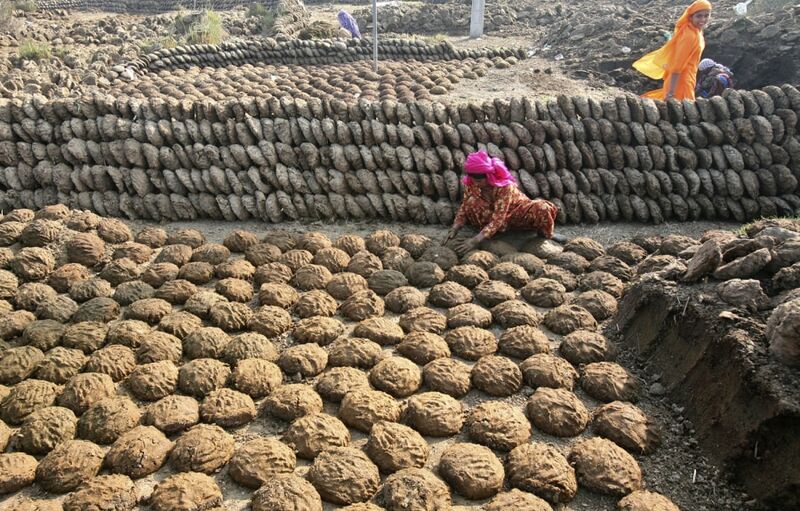 In many parts of the developing world, caked and dried cow dung is used as fuel. Dung may also be collected and used to produce biogas to generate electricity and heat. The gas is rich in methane and is used in rural areas of India/Pakistan and elsewhere to provide a renewable and stable source of electricity. 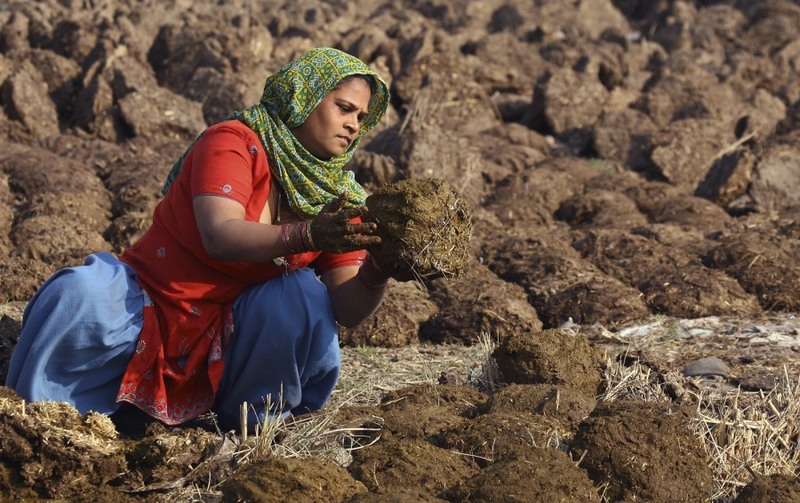 A villager makes cow dung cakes used as cooking fuel at Maloya village on the outskirts of the northern Indian city of Chandigarh on January 31, 2011.